My doodle4google design is inspired by advancements in technology and, more specifically, robotics. In the future, I see many more advancements in robotics and the technology we know today. There will likely be less limitations on what technology can do for us and connect the world. I revised my first design using concepts such as clean energy, the exploration and/or colonization of Mars, and development of virtual reality. My design process consisted of using pictures off of the internet to form the shape of the word "Google" and then making my own design using similar, original images. I used pictures off of the internet representing recent advancements and develpoing of technology (robotics/assembly lines, 3D printing, robots for commercial use, prosthetics/exoskeleton technology, Artificial Intelligence). I think that robotics will be more prevalent and used more often for tasks such as construction, military, information collection, automation, etc. People will communicate in a similar manner to today, (it will likely be a LONG time before teleportation or hologram communication are common) but with more refined connection and wait times. Commute to school/work would be with more specialized and efficient vehicles that are either automated or rely on a different fuel source. Advancement in robotics would more likely lead to less peace/equality because of the controversial nature of artificial intelligence and competing for resources and for more powerful technology. My artwork communicates the theme of robotics and technology by using photos of actual pieces of robots/robot-related materials. I used the shapes of each photo to spell out "Google", much like the google doodles and colored each picture accordingly to the colors of each letter in the google logo. ​I focused on art-making and used Photoshop in order to position photos to have the intended effect of a google doodle. 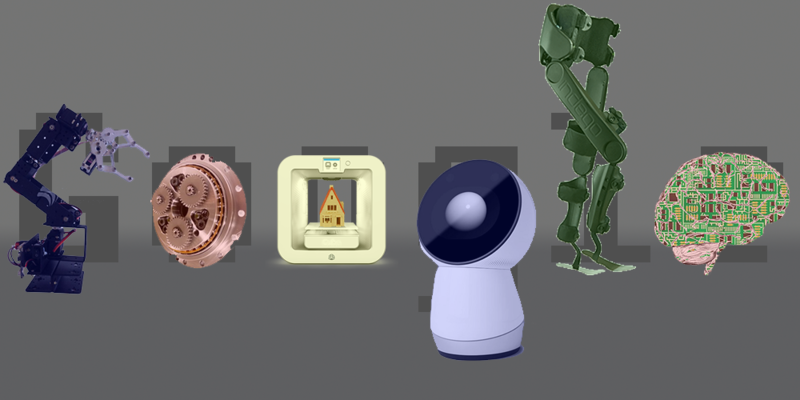 I conveyed the meaning by showing parts representing different aspects of robotics and technological advancements with photos of things from each aspect. I looked closely at my work and made adjustments to the positioning of the pieces and the gradient used in the background to refine it. I also added faint letters behind the pictures to make it easier to see the objects as the letters to refine it. Closely observing cardboard artworks and my other inspirations helped determine what I chose for my project. 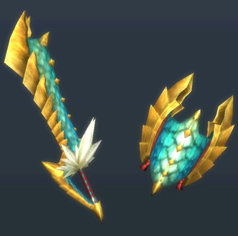 The shapes that make up the sword struck me as being good for using cardboard. I was able to capture likeness to subject matter by observing the shapes, colors and textures that make up the sword and basing the cardboard pieces off of them. Observation was important because I was replicating source material, so I had to pay attention to the structure and details. I learned that using meat scissors is more effective at cutting cardboard and does not tear it as much as regular scissors. I gained skill in cutting the board and using spray paint as the project progressed. I discovered that I was talented in lining up cardboard pieces to be proportional to a reference source. 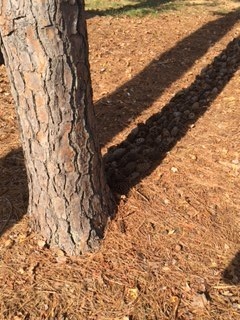 I used pine cones to outline the shadow of a pine tree at wake tech main campus. 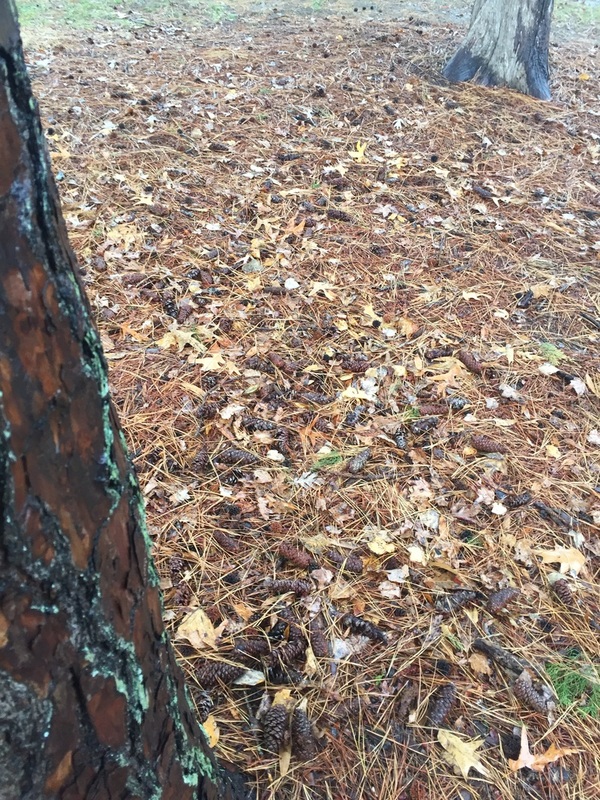 The pine cones come from the tree and are overshadowed by its size. Observing the courtyard at Wake Tech main campus influenced my art by giving me ideas on how to make my art involve trees. I was originally going to make the shape of a tree out of acorns because there were a ton of them on the ground in the court yard, then I decided that they were too small and it would take much too long. Then i noticed there were also a lot of pine cones, which also came from trees, in the area. 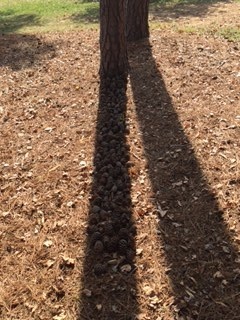 I used the pine cones to fill the shadow of a tree for my final product. I was able to capture likeness to subject matter by using a shadow as a template, and using materials that came from trees to cover a tree's shadow. Close observation was important because it allowed me to use my surroundings for inspiration and find a backup plan to do something similar but more doable than my original idea. I wasn't unsure about anything in my artwork, but I did try a new technique. Trying the new technique worked out well because i was able to successfully express my art and enjoyed doing it. I chose pine cones as a material, which was different from the types of materials we have been using in the studio. The pine cones are more temporary, and have not been put in place with adhesives or anything to preserve them. 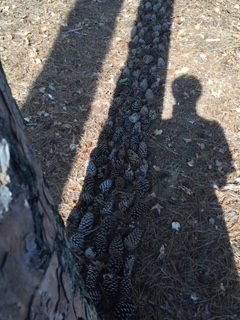 1 month since I made my pinecone shadow, it seems that the organized pinecones have been scattered, but are still in the general area that I had put them in. This could have been done by many factors such as wind, rain, leaves falling, and/or people just walking by. 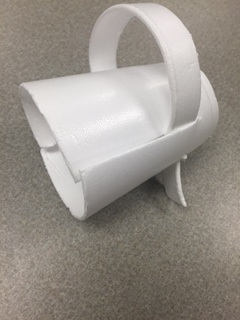 I learned techniques with using pieces of Styrofoam from a cup with itself to make a piece. I did not learn any new skill or talent because I did not have many ideas of how to use it or techniques for using Styrofoam. A challenge I ran into was thinking of what to do. I experimented with taking pieces off and putting them together through slots in the sides and ended up with a shape resembling a cartoony space blaster. The final result was an unexpected turn that came from previously stated experimentation. I stepped back and reflected on my work after putting the pieces in place and noticing the resemblance to a blaster. Reflecting helped me by giving me a direction to go with my art. I discovered that I can adapt my art even if I don't quite know what I am doing. Fun theory is making parts of life that are normally monotonous or things that are important and people should, but don't, do fun. An idea I had to make waiting in the security line at an airport, or at the DMV could be to have a monitor with trivia questions and people waiting in line could use an app to answer them. This will give people other things to think about and focus on while waiting in line. You can learn new things, or show off your knowledge to strangers! ​"Embrace the shake" is the life story and journey of Phil Hansen, an artist who suffered permanent nerve damage in his hand. He thought he would never be able to create art because he could not create straight lines. However, his condition led to him discovering new ways to create art and helped him think outside the box so he could continue doing what he loves. I found this story very inspiring. It gives me the impression that anything is possible and an obstacle may not be the end, but a new path. A new technique I learned during this project was layering pastels with different colors to simulate textures or lighting such as with the boardwalk or the water. I gained skill with using pastels as this was my first time using the oil pastels outside of the boot-camp. I discovered that I am more talented in using oil pastels than previously thought. I started this project unsure of how it would turn out but was happy with the result. I observed and researched Team Fortress 2 characters to use in my art. My art is inspired by Edvard Munch's "the Scream" and by Valve's "Team Fortress 2". The skull island in the center of the lake is inspired by a map in TF2's Halloween event: Scream fortress. The art is not only a combination of scream and TF2, but the names of the painting and the Halloween mode match up, thus, it is called "Munch's Scream Fortress". The two silhouettes in the background are the sniper and spy. I stepped back and reflected after I started the final sketch and only had the pyro. I looked at what I had so far and did not like it, but i added extra layers of pastel which made it look better and helped me understand how to better utilize them. I was able to further connect to Scream fortress by adding green skies instead of the orange of the original and add skull island in the center of the lake. Reflecting on my work helped me add further details and improve on parts of the art. I did not learn any new techniques for this project. I used the same ink-wash technique that we used in an earlier classwork project. I felt about the same about my ink-wash skills. I did use new materials by coloring with colored ink using brushes and quill pens. I discovered that i enjoy finding an image in a random ink blot and bringing it out. Similar to identifying shapes in clouds and in everyday objects. I analyzed my work after applying the first ink that made the general shape of the piece. 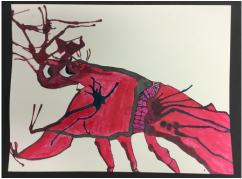 I noticed that the main shape looked kind of like a crustacean like a lobster or shrimp, so I started there. Reflecting on my work helped me realize that my work did not have to be perfect and that I can just let my thoughts flow into the piece. I discovered that my work would not always turn out like I think it would in my head. the result reminded me of Salvador Dali's strange paintings and I came to the conclusion that I enjoy coming up with ideas for my art as i make it rather than create a vision and then try to replicate it. When I put a drop of ink in the center and it formed the shape of a heart, I changed the piece from an ink blot monster, similar to our first ink project, to a statement on internal feelings. The goofy, cartoony eyes and facial expression shows how someone can seem on the outside or feel around friends, but the blue heart with the veins or leakage can represent internal loneliness and/or sadness. This artwork tells about me because I tend to bottle up feelings. I am a Vernon Malone College and Career Academy Student who likes being creative and aspires to get a career in video game design.